Change of season predictably brings the odd sniffle and 24hr tummy bug into our generally healthy family. Primary school kids are little bug magnets. If there’s a germ to be caught, it will find it’s way into our home via my fourth child. Ironically, he is also the healthiest of the bunch by far- which is something that I wonder about. Without fail, he is always the first to catch what’s going around. Maybe this will pass, but until then .. 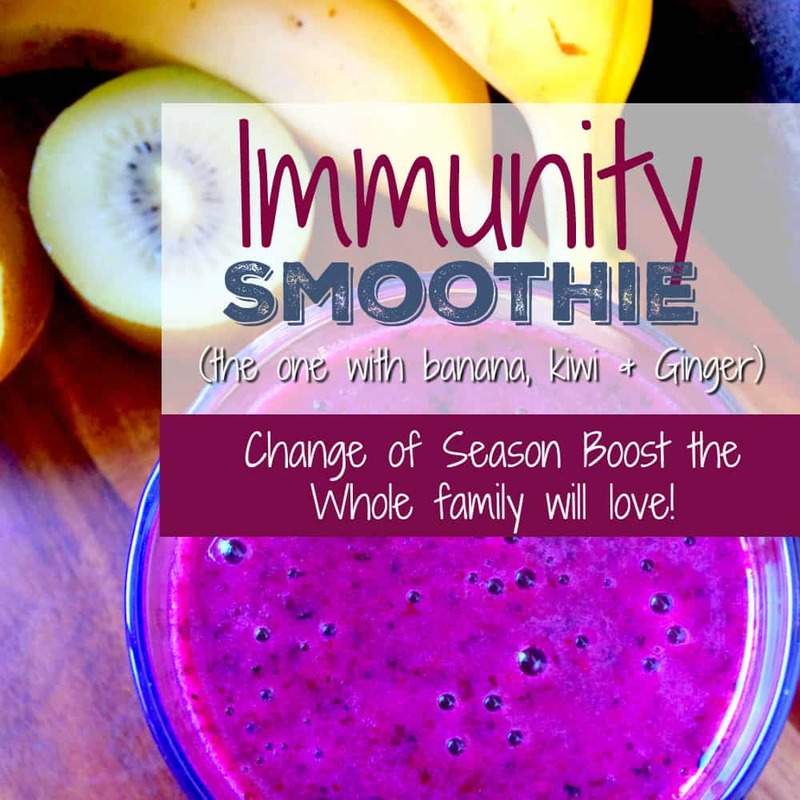 I have a few tricks up our sleeve to get the family back on track with a yummy, vitamin packed smoothie – The Immunity Smoothie. 100% natural and really tasty. It also happens to freeze beautifully as mini ice popsicles or in ice trays to add to your next water infusion. Berries are really expensive where we are and seasonal so I always stock up and freeze in ziplock bags when prices are low. If you have a batch of over ripe bananas on your kitchen bench, then peel them chop them into quarters and freeze (perfect for banana ice cream or this smoothie recipe). Don’t let them go to waste. For a creamier smoothie, add 1/2 cup of almond or coconut milk, but personally our family preferes the icy-berry kind of texture for this one. 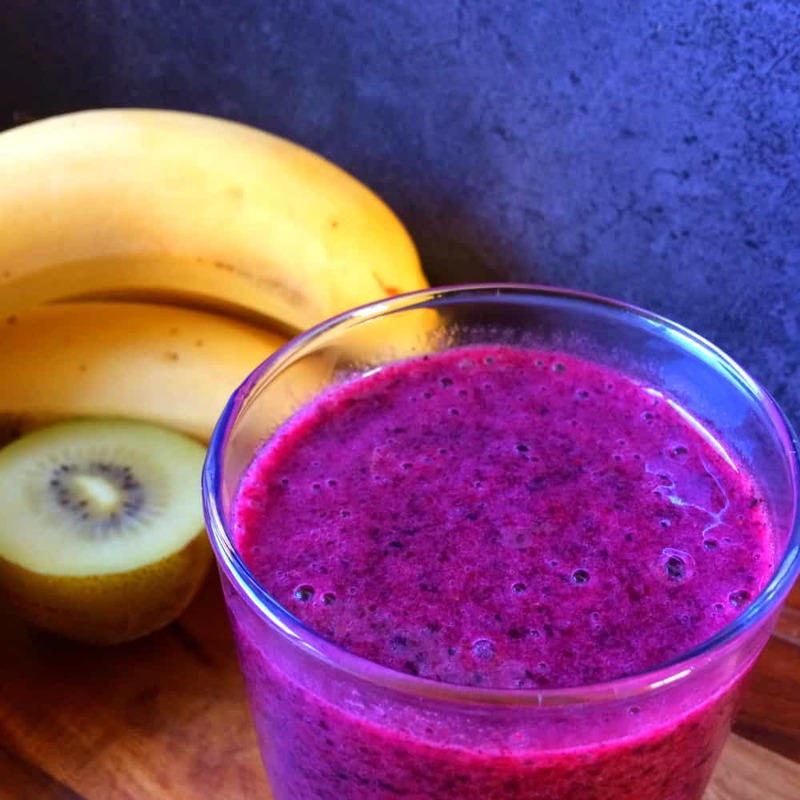 You can use any berries or a mix of berries, but if you are using only Blueberries, then these make a slightly sour smoothie, so I add a little more honey to compensate. Finally – check your teeth and the kids teeth after drinking. 🙂 Those little berry seeds get in everywhere and you will get to lunch time before someone tells you have ‘something in your teeth’. Berries contain high levels of phytochemicals — those naturally occurring nutrients that help protect cells from damage. Berries keep your mind sharp. Research published in the Annals of Neurology found that women who eat about two servings of strawberries or one serving of blueberries a week experienced less mental decline over time than peers who went without them. Compounds, found almost exclusively in berries, are known to access the learning and memory centers in the brain. Berries help us control our weight – Because of their fiber and liquid content, berries give us a sense of fullness, and feeling sated is an important part of managing how much food you eat. And one more thing … Apparently it doesn’t matter whether you use fresh or frozen berries. New research from South Dakota State University suggests that frozen blueberries deliver a bigger dose of disease-fighting antioxidants than fresh. 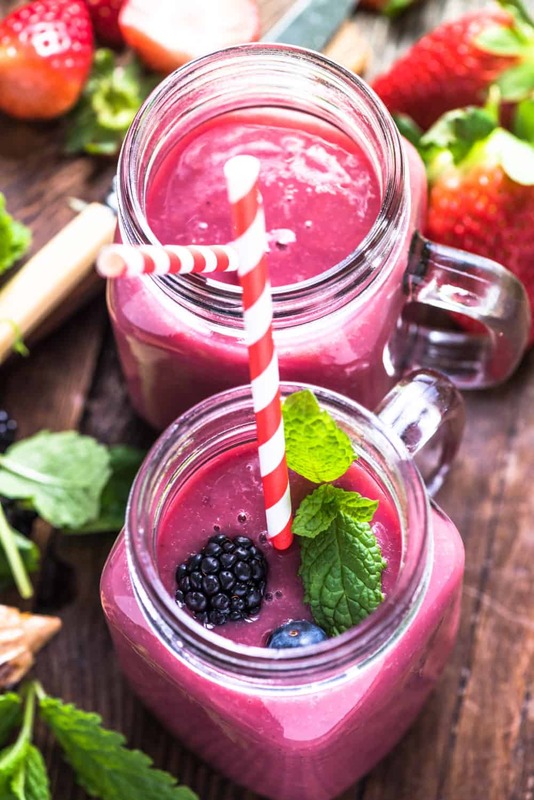 (Source) So stock up on those frozen berries for a berry filled smoothie anytime of the year. The Immunity Smoothie – Vitamin packed and really tasty way to boost the family’s immunity. Whizz all ingredients together in the blender until smooth. 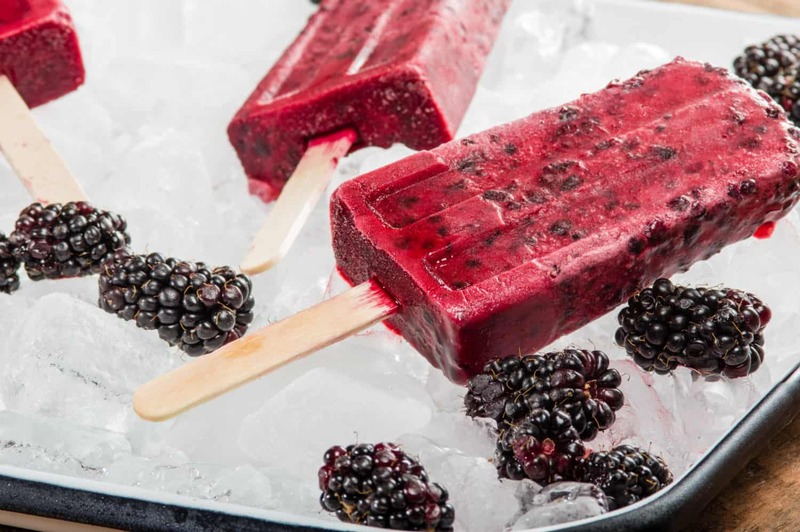 Serve immediately or freeze in Popsicle molds for later. Love Smoothies as much as we do? 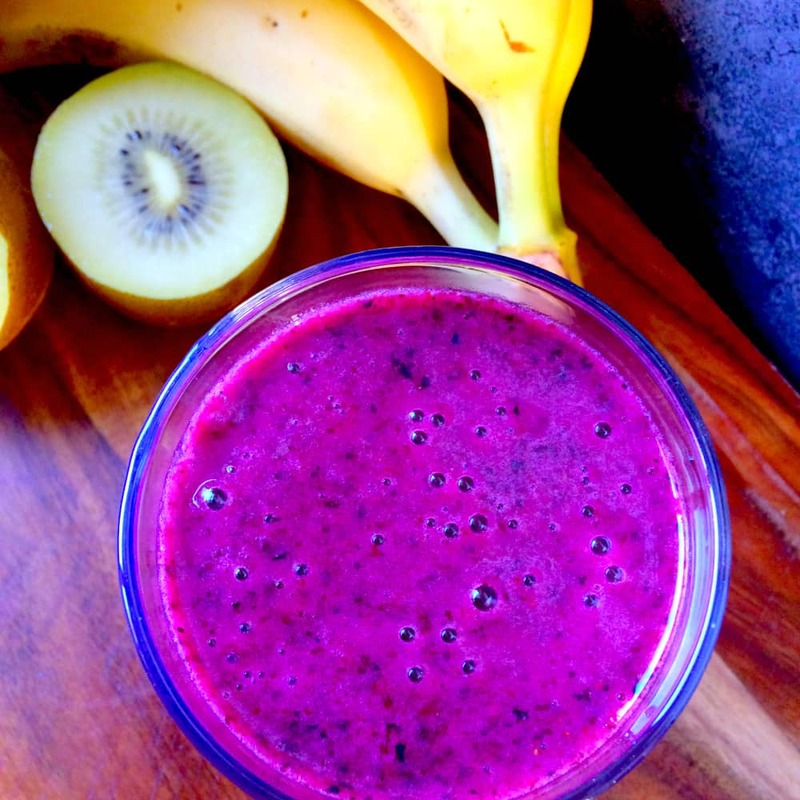 Here are some of my favourite smoothie recipes going around Pinterest at the moment.